He’s known as Daisho Kangiten, the deity of joy in Japan. Maha Peinne or great bliss in Myanmar. His sculptures adorn Angkor Vat in Cambodia and he is an ambivalent, quasi-demonic figure in Tantric Buddhism. 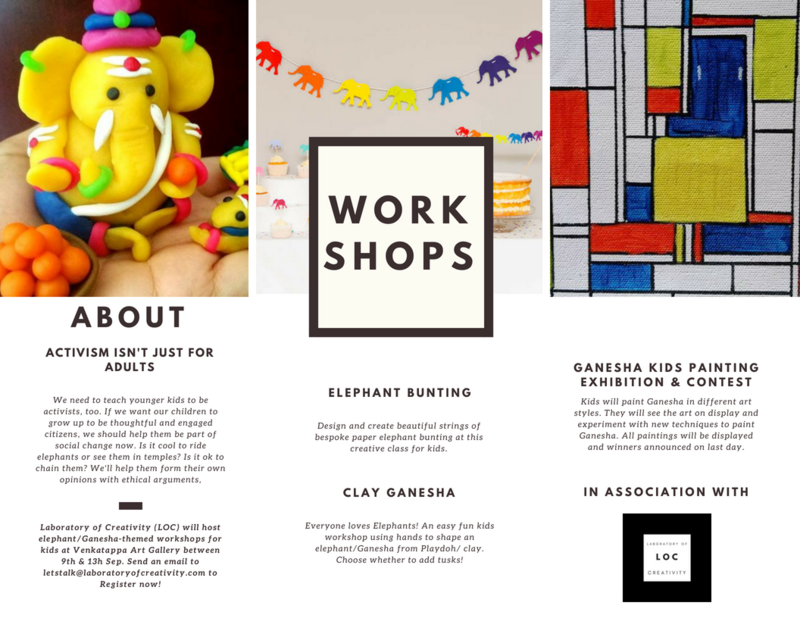 In India, Ganapati or Ganesha enjoys the unique disposition of being revered and kitsch at the same time—worshipped as the remover of obstacles and the lord of calculation, the half-man-half-elephant god also finds himselfp on calendars, dashboards and as a cautionary warning to avoid people peeing on walls. The multiple and sometimes even conflicting iconography is only matched by the various legends, myths and origin stories that surround this Hindu God. Elephants on the other hand, were used in wars when we didn’t have the sophisticated weapons of destruction; they were used for logging when we didn’t have the sophistipcated machinery. People would ride them when we didn’t have cars. They were trained for the circus as an amusement when we didn’t have on-demand entertainment. Despite having everything now, have Indians forgotten their own spiritual roots? Our rich Hindu scriptures teach us compassion, love, empathy and forgiveness. There are NO scriptures – Hindu, Christian or Islamic – that even suggest using elephants in temples, processions or festivals. Artist Sapna Dube has been obsessively painting pop art versions of the representative form of Ganesha for the past 6 years, bringing together these multiple narratives in her art. 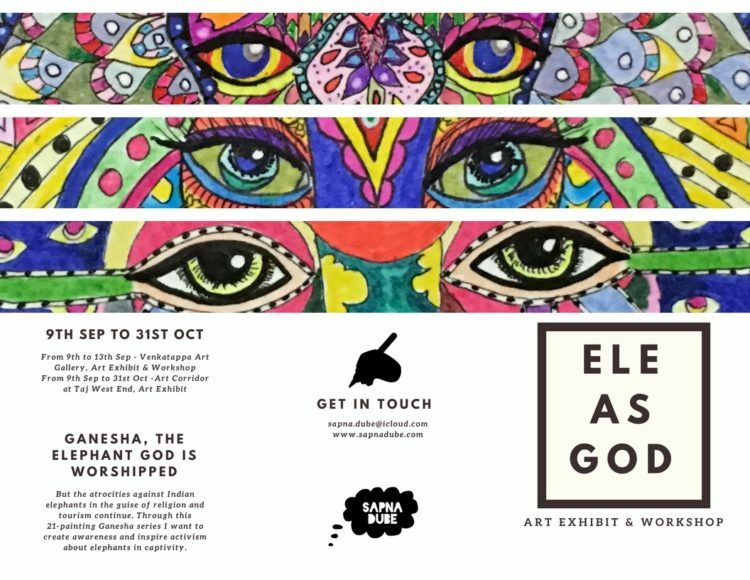 The preview of her second solo show, ‘Elephant As God’ is accompanied by a month-long exhibition at The Art Corridor, Taj West End and a 5-day show and children’s art workshop that begins at the Venkatappa Art Gallery on 9th Sep. This exhibit is not just a compilation of her artwork that comprise 21 works from the ‘Elephant As God’ series, but is also scattered with anecdotes, information and tales of Ganesha. “Ganesha, the half-man half- elephant math genius and God is worshipped. But the atrocities against Indian elephants in the guise of religion and tourism continue. Through this 21-painting Ganesha series, I want to create awareness and inspire activism about elephants in captivity”.